The computer was invented in early 1880’s, but the revolution in computing industry came with evolution of internet in early 1950’s with the concept of packet networking. Over period of time the internet technology have gone through major upgradations and if we see the speed of internet in last 30 years then you will be amazed to know that the speed is been boosted by 3.3million times from like 300BPS to 1 GBPS in just last 30 years. Fixed Computing and Mobility – If we talk about fixed computing and Mobility phase of growth of internet then it was the time period of 1990 – 2000 when approx 200M devices were connected to the Internet. Internet of Things – Over period of time there was major transformation in growth of internet in 2000-2014 around 10 Billion devices were connected to the internet. 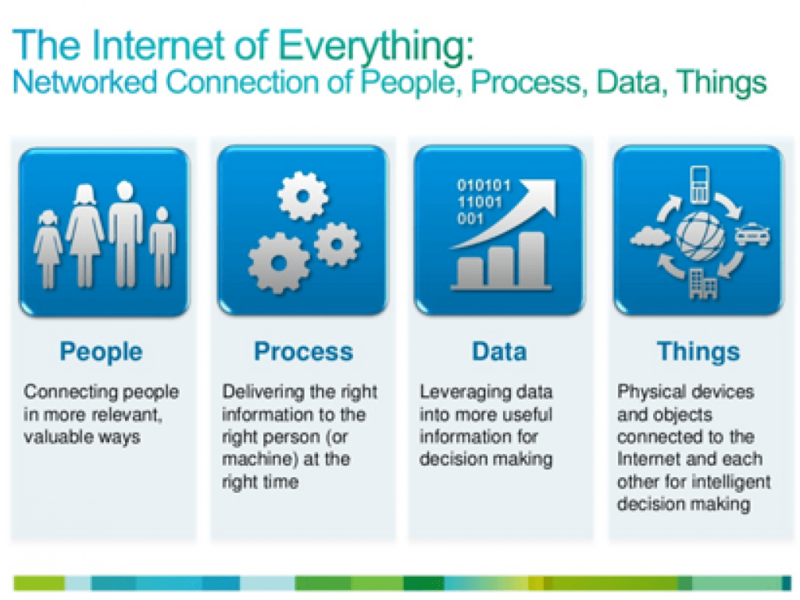 Internet of Everything is a step ahead of Internet of Thing. 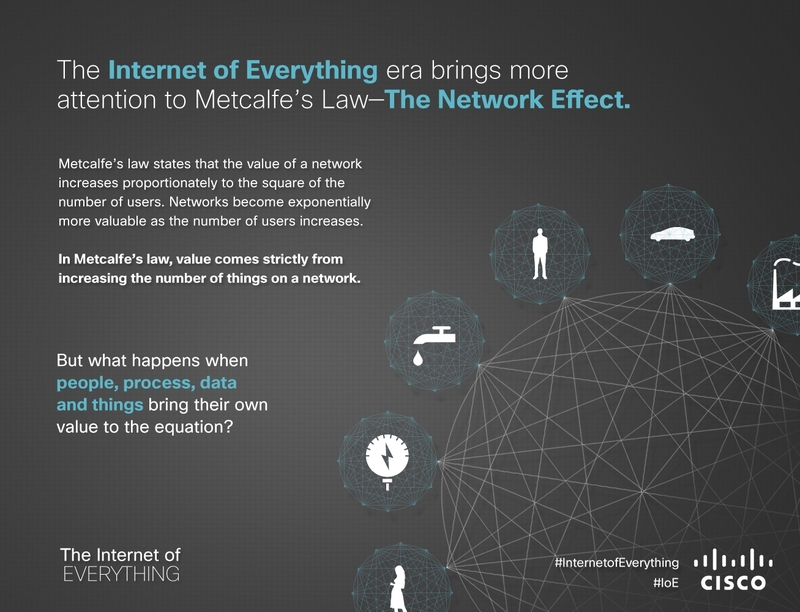 If we go by the statistic predictions then by 2020 then Cisco will lead the industry of Internet of Everything with around 50 Billion of devices connected to it. 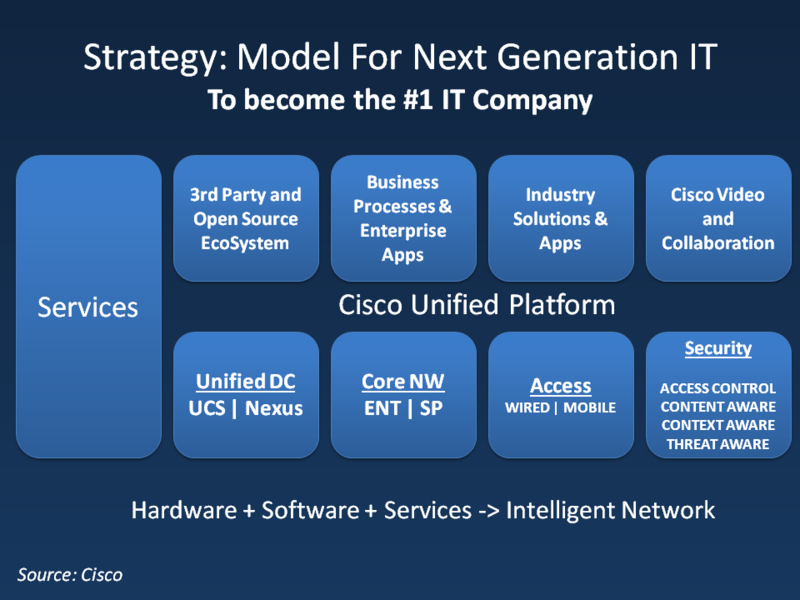 The key upgradation in Cisco Internet of Everything is that the number of devices that can be connected and managed via cloud are way more than Internet of Thing. 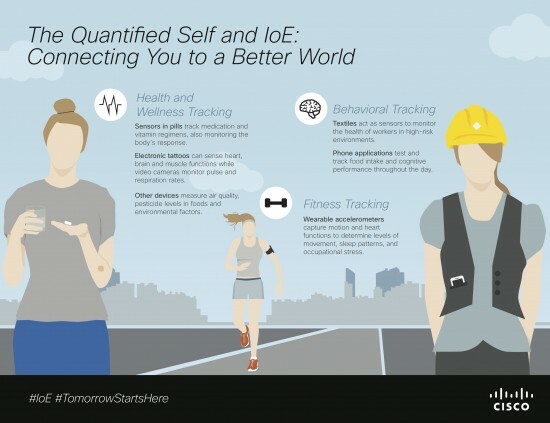 A step ahead of where Internet of Thing used Cloud technology to get devices connected Cisco Internet of Everything is using Fog computing with IOx and the cost saved with use of Fog Computing is way more than Cloud computing. The need for Fog Computing emerged when business and industries reflected an urge for a solution that can act as a reliable, safer, faster and low cost source that can be used for higher productivity. Internet of Things generally runs with use of satellite or mobile networks that leads to more cost and time consumption, to avoid this extra consumption of cost and time Cisco identified the way out by setting up a distributed computing capability I.e. the devices are set more closer to the data source that saves the cost and time incurred in data transmission. Cisco IOx facilitates the industries to come-up with their own applications and interface to personalize process & act quickly to changing conditions, competition or changing customer need. Fog Computing have come up with easier management and wider scope for its application. Bring Customised Application – You can easily customize business logic and capabilities to support it in the network device which is set nearest to the data gathering device for faster action. This all is compiled in a internet enabled router without any need of any additional hardware. Come up with your Own Interface – You can even connect your application with any of protocol, interface or any device of your choice on the go without waiting for an outsourcing agency to complete the task for you. Real Time Data Anaysis – Cisco IOx middleware analytics also empowers you to create and apply customized regulations for processing of sensor data locally with Cisco Data in Motion and policy engine. Thus Fog Computing enables business to scale to millions of devices, with a wider geographical distribution to gather and analyze data and with no delay take immediate action where it is essentially required. Cisco – Cisco is offering field network products to monitor and control the network of energy distribution which helps to enhance the delivery of power and build a low-carbon nation. Cisco Aironet 1550 Series Wireless Access Point is a Cisco innovation the helps in providing a wireless network and connectivity to this industry. Communication – Cisco has developed a Field Area Network Architecture for purpose of distributing an automated channel with the utility communication network connecting to the device, this helps to ensure secured & reliable with optimized productivity. Weather Forecasting – Cisco is providing you with a useful tool over your smartphone or laptop. Connect weather forecast is an app developed by Cisco using which you can easily have information about the weather of your city. This app takes care about your navigation convenience as there are proper categories like continents, countries & cities that can be easily selected. Physical security by offering video surveillance software, IP Cameras, and improved platform for better control management as no matter what is the time or wherever you are, you can always have a watch on the activity in your business with these surveillance cameras. Cyber security is facilitated by way of Cisco IPIC IP for various platform that helps to manage radio, talk groups, channel & media resource & authenticate users and provides a standardized protocol for security to secure your sensitive data via real time monitoring. Well it’s not as complex as its description seems, as you just have to install the range of software’s offered by Cisco Security solution and rest you can depend on the artificial intelligence for security. 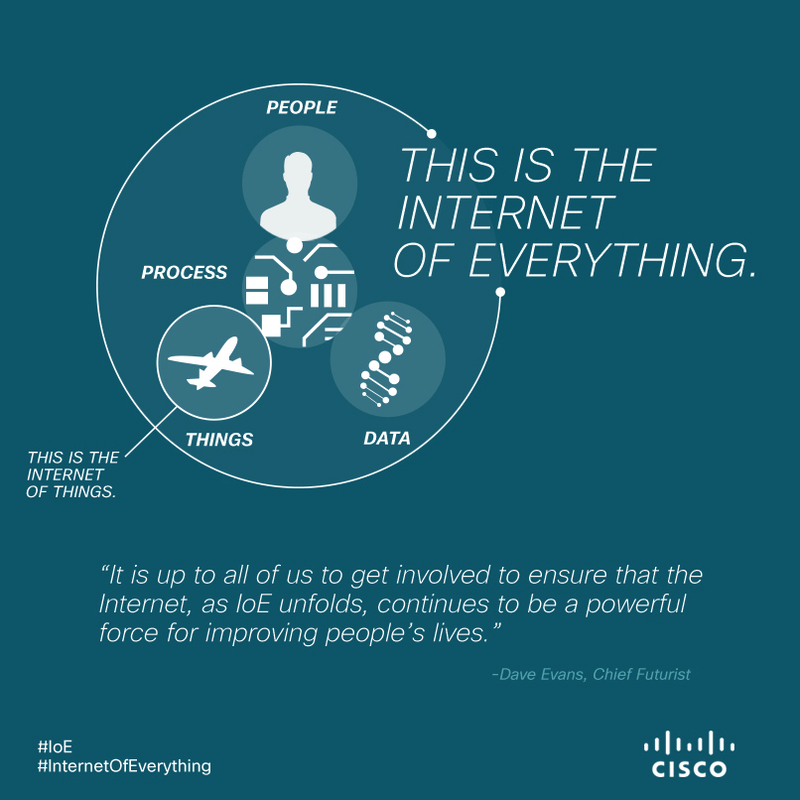 Cisco Internet of Everything – Cisco have launched a series of computing system for achieving high end connectivity. The range of following computing system will enable you to get your devices connected to the cloud or internet once installed. Cisco Nexus 7000 Series – Cisco have launched a series of Nexus 7000 switches that combines the highest possible level of scalability supported by operational flexibility. This series is designed to facilitate you the unique features & capability that you need in the most critical location (like data center) with the availability of limited resource. Cisco 3G wireless Connectivity Solutions – As now use 3rd Generation technology is on its peak, cisco didn’t missed the opportunity and facilitated you with its 3G wireless connectivity solution. The device offers broadband internet access along with optimized multimedia service with which you can securely get connected to internet at high speed.